Handbrake, needless to explain further, is the world famous open source for you to rip DVD as well as convert video on both Mac and Windows operating system for 100% free of charge. And even better thing is that this free video converter software keeps constantly updated with the advanced hardware acceleration tech (Intel Quick Sync Video & DXVA) to dramatically accelerate your DVD conversion and video conversion speed. Awesome, right? Yet, cool down! This is the bonus Handbrake gives only to Windows-based users. 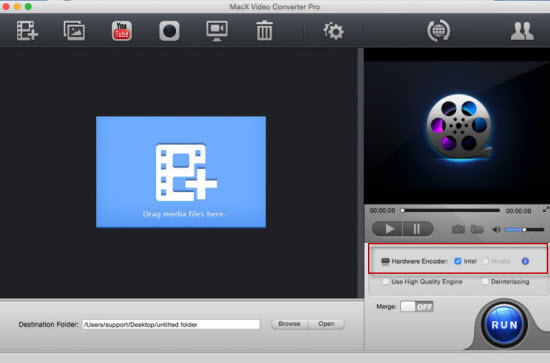 As for Mac-based users, you should resort to the best Mac alternative to Handbrake to convert video with hardware acceleration supported to speed up video conversion on Mac OS. Previously, Mac users highly admired Windows users, for they have a host of video converters supporting Intel Quick Sync hardware acceleration, but there is no one for Mac OS. Now, it's turning around. 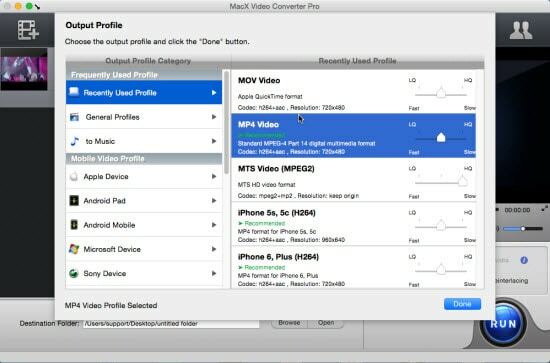 The world's first Mac video converter that supports Intel Quick Sync Video hardware acceleration comes into being. That is the high-end MacX Video Converter Pro, whose Intel QSV tech enables Mac users to convert video on Mac with world's fastest speed, up to 5X faster than any other converters. What's more, this Hardware acceleration tech Intel Quick Sync Video also applies to video to mobile device conversion, e.g., ultra-fast converting videos to iPhone (XS/XR/X/8/7/6s/Plus), iPad (Pro/Mini 4/Air 2), Android (Samsung/Sony/HTC), game console (Xbox One/PSP/PS4), no matter SD video MP4 MOV AVI FLV WMV VOB or HD video 720P, 1080P, 4K/8K Ultra HD. How to Enable Intel QSV to Accelerate Conversion Speed on Mac with Best Handbrake Alternative? 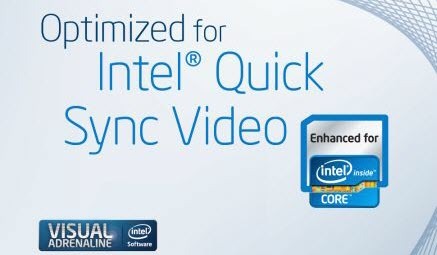 Prior to enable Intel Quick Sync Video on your Mac, please make sure your Mac computer CPU is Intel Core i3, i5 or i7, model in Broadwell, Haswell, Ivy Bridge or Sandy Bridge. Step 1: Free download this best Mac alternative to Handbrake on your Mac computer (Mojave included). Then run it and you will see the Hardware Encoder (Intel) option on the right bottom of the interface. Just tick "Intel" please. Step 2: Load the video files you wanna convert on Mac OS X (Mojave) by clicking "Add File" button. The Intel QSV hardware acceleration tech quickens video conversion speed for both SD and HD video. And when converting HD videos on Mac, the effect is more obvious. Step 3: Choose output video format. Here currently you are allowed to convert video with H.264 encoder as output format if you use Intel Quick Sync Video hardware acceleration, like MP4, MOV, MKV, AVI, etc. with H.264 encoder. Step 4: Followed by the destination folder selection via "Browse" option. And then you can click "RUN" button to begin video conversion task with world's fastest speed. If you are suspicious of the video conversion speed, just give this Quick Sync video converter a shot or read on the following speed test between Handbrake and MacX Video Converter Pro. We compare Handbrake 1.0.0 with MacX Video Converter Pro in video conversion speed, taking the HD and Ultra HD video conversion as test to see which one is faster: Handbrake or the best Mac handbrake alternative with Intel QSV supported. From the above table, you can clearly see that when it comes to convert 4K ultra HD video to 1080P full HD and convert 1080P video to 720P, the Handbrake alternative MacX Video Converter Pro is almost 2 times faster than Handbrake. Have to admit that all this attributes to its built-in Intel Quick Sync Video support. So for some Mac users who have the demand to compress and convert Ultra HD, HD or SD videos as fast as possible, the world's first Intel QSV supported video converter is a must-have software for your Macbook/iMac.